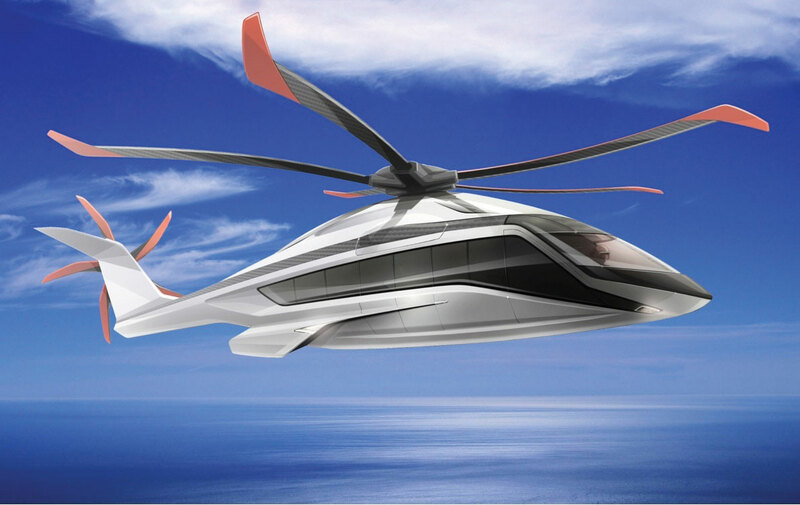 Airbus Helicopters unveiled the first artist rendering of the long-awaited X6 on Tuesday at Paris 2015. The X6 is a new helicopter in the heavy category that is now beginning a two-year “concept phase,” with the idea being for it to enter service in the next decade. It will in particular target the oil-and-gas market, with a 19-seat capacity, eventually replacing the H225 Super Puma. Guillaume Faury, president and CEO, said the new twin helicopter will feature fly-by-wire controls. “It makes sense on a heavy helicopter, driving a lot of capabilities–it improves safety thanks to a reduced crew workload; it [will] have very integrated systems working together; and it will enhance flight envelope protection,” he said. For its first civil rotorcraft with fly-by-wire controls, Airbus Helicopters has learned lessons from the military NH90 and sister company Airbus, which has such systems on all its fixed-wing aircraft. Faury did not specify which turboshaft engines the twin will use, but he hinted that some are available–in the right power class–from both Pratt & Whitney Canada and Turbomeca. The latter company yesterday said it has been running extensive tests on its Tech3000 demonstrator, in the 3,000 shp category, aimed at such 10-metric-ton-plus helicopters. Since January, the tests have taken place at both the component and module levels. “Key technologies of the compressor have already been validated and tests of the combustor and turbine are underway,” the Safran subsidiary said. Full engine tests, integrating these new technologies, will start at the end of the year. Turbomeca is targeting a 25-percent improvement in fuel efficiency. “We are especially assessing new materials for the combustor and high-pressure airfoils,” Philippe Couteaux, Turbomeca’s executive vice president for strategy and development, told AIN. The principle of a demonstrator is to bring these technologies to readiness level six, “to ensure we de-risk the next step–full-scale development,” he went on. In addition to burning less fuel, Faury said the X6 will be able to fly longer distances than the H225 and offer a more comfortable cabin. A particular focus has been put on noise, both for passengers and the environment. “We want this helicopter to be a good citizen,” he said, alluding to the market potential for helicopter airlines. Customer input is being sought during the concept phase, but some decisions have already been made, such as integrating full deicing. In addition to offshore oil-and-gas operators, other prospects are expected to be found in the search-and-rescue, VIP and commercial air transport markets. The X6 “will reach the market when the H225 is still in production,” Faury said. One reason is the development of a military version is forecast to be further away, so the H225M will continue to be in demand, he noted. Airbus Helicopters’ new design office in Poland will be involved early on in the X6 program. Talking about overall helicopter sales, Faury said the first quarter was better than last year’s despite a “difficult market caused by dwindling oil prices.” The military market over-compensated and the order intake, in value, is thus up by 19 percent, at €1.428 billion ($1.6 billion). The book-to-bill ratio was greater than 1:1 in the quarter, he said.